Spotted Cow Review: "Be Healthy,Get Active,and Make a Difference"
Can you take the pledge "be healthy,get active, and make a difference"? 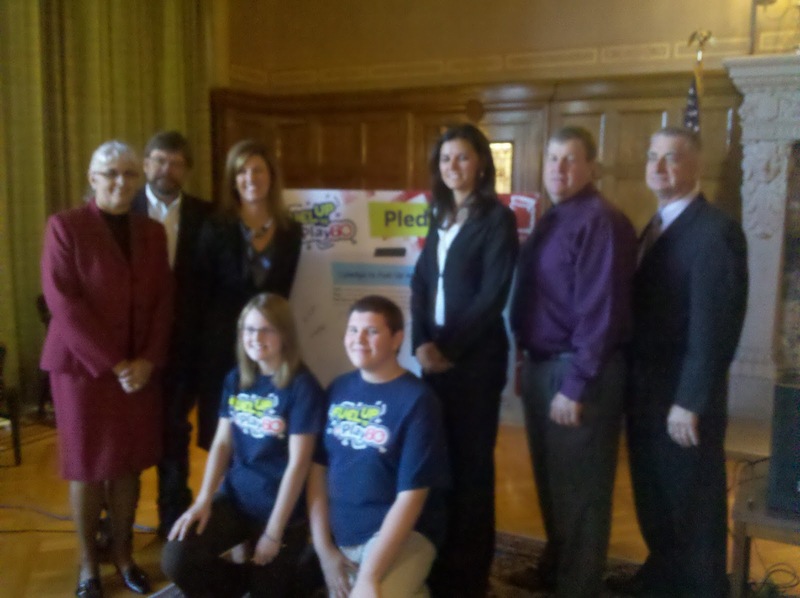 Arkansas Governor Mike Beebe and First Lady Ginger Beebe made that pledge today to show support for Fuel Up to Play 60 in Arkansas schools. The pledge ceremony was also attended by students and faculty from the Weiner school district, four Arkansas dairy farmers,and Midwest Dairy staff. Fuel Up to Play 60 brings tools and resources to schools to involve students in learning how to make nutritious choices and engage in sixty minutes of activity everyday for long lasting good health. Fuel Up to Play 60 is a direct response to the childhood obesity epidemic we face in Arkansas and across the nation. It is funded by dairy farmers in partnership with the National Dairy Council, the National Football League, and the United States Department of Agriculture. 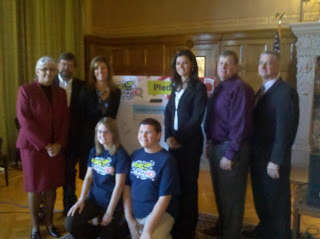 Detailed information about Fuel Up to Play 60 can be found at http://www.midwestdairy.com/. As a dairy farmer, I loved listening to the 9th grade student, Joshua Lucero describe with enthusiasm how he got involved with the Fuel Up to Play 60 program as a 7th grader in the Weiner school district. Although Weiner is a small rural school district, he utilized technology and his computer skills to develop a power point presentation that he and other students shared to spread the word about making healthy choices and getting the needed sixty minutes of exercise everyday. His teacher told us that he met her in the parking lot every morning to make sure she accomplished every necessary detail to achieve success in the program. Today was proof that his persistence paid off! 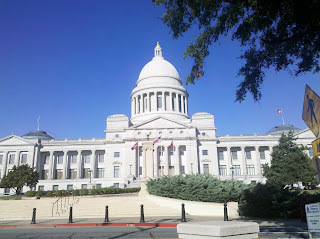 Representing Arkansas dairy farmers at this celebration of support was an awesome experience. Today more than 400,000 students represented in 900 schools across Arkansas are participating in Fuel Up to Play 60. Dairy farmers are making a difference everyday as we work to produce a healthy product and support programs like Fuel Up to Play 60 to encourage children and adults to "be healthy,get active and make a difference". Will you take the pledge?